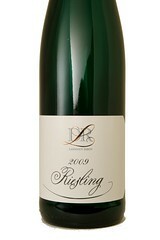 Dr. L comes exclusively from traditional vineyards with steep slopes and slate soil. 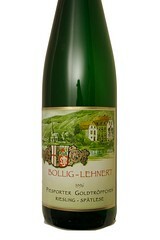 This introductory, non-estate wine embodies the elegant and racy style of classic Mosel Riesling. By working closely with growers on long-term contract, brothers Ernst and Thomas Loosen are able to assure excellent quality in every vintage. Sustainable, and committed to green winemaking, Mulenhof is an estate to watch in Germany's Rheinhessen. 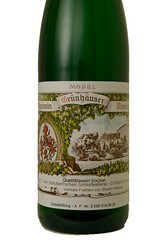 The estate's dry Muller Thurgau is intensely fruity but never over the top. Spicy, a bit smoky, with citrus and more tropical notes on the nose, the crisp finish brings in pink grapefruit and zinger ginger. Just the thing for smoked trout or salmon, this is also wonderful with sashimi. Stefan Bollig (vintage 1961) is passionately devoted to his work and is a fine example of the new generation of Mosel vintners. The family has been producing wine since the 17th Century, but new cellars and house have been built on the outskirts of Trittenheim. The total holdings of 4 hectares (10 acres) are tended by the family themselves, the steeply sloping vineyards being composed mainly of slatey soil. Stefan has been managing the estate since 1987, after completing his viticultural studies and practical experience in Trier and Bad Kreuznach. Stefan Bollig's wines are stylish, crisp and classic with a fine fruity elegance and good mineral content, not showing excessive sweetness. Die herzhafte Würze in der Blume zeugt von der natürlichen Gärung mit den Wildhefen. The hearty flavor of the flower bears witness to the natural fermentation with wild yeasts. 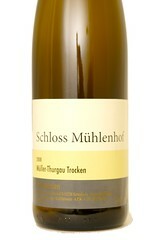 Ein junger Riesling mit viel Kraft, Rasse, Frucht und belebender Frische, der ein Lagerpotential von mindestens 10 Jahren besitzt. 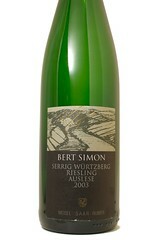 A young Riesling with a lot of power, race, fruit and invigorating freshness, which has a storage potential of at least 10 years. 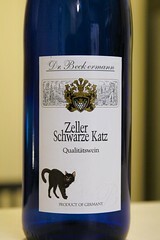 Dieser Wein ist ein guter Begleiter von kräftigen Brotzeiten, Salaten, Räucherfisch und Geflügelgerichten. 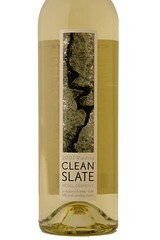 This wine is a good companion of strong snacks, salads, smoked fish and poultry dishes. On the steep slate hills above the winding Mosel River grow the world's most celebrated Riesling vines. From their noble grapes we craft a perfectly balanced Riesling with ripe peach taste and crisp mineral notes. The clean, elegant flavor is delicious with food or shared with friends. Sometimes a great wine pops up when you least expect it. This bottle has a lot to overcome in the US market; the fact that people don't necessarily think of Germany for great value Pinot Noir, the fancy, hip, label depicting a woman's corset being "undone", and the fact that it is $10.99 AND imported. To be honest I had little hope but again here we are... Much like the Bernier Chardonnay we have been selling the heck out of this wine exceeds its humble beginnings. The Undone Pinot Noir is all about fun, easy drinking pleasure. Bottled with a screw cap, unoaked and unmanipulated this is the fresh, light and juicy wine for those of us who don't like our Pinot Noir to look and taste like Syrah. The wine is delicate and pure, medium bodied and full of wild strawberry, cherry and raspberry aromas with just a subtle hint of spice in the finish. "No sugar tonight" in this wine. 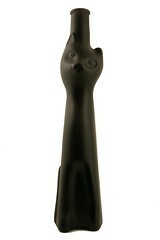 Think of this for parties this holiday season or Tuesday night with grilled sausages or roast chicken with mushrooms.